Nick’s English friend Helen is a Russian-English interpreter. 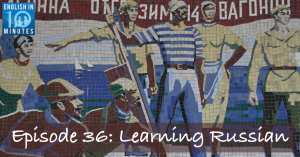 In this conversation she talks about learning Russian and her experiences in Russian-speaking countries. The episode comes with a worksheet containing a transcript of the conversation, analysis of the best vocabulary, and discussion questions to help you make the most of the conversation.